As three dairies and various environmental groups on Monday resolved litigation over groundwater contamination from mismanaged manure in a consent decree, attorneys said U.S. District Judge Thomas O. Rice’s earlier rulings in the case will have lingering effects. In January, in a somewhat unusual ruling, he found that Cow Palace LLC and other related defendants were responsible parties under the RCRA. 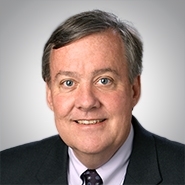 “This was the initial case that tried to balance regulation under the Clean Water Act, which is the act under which land application of materials had been regulated, versus regulation under the solid waste law, the Resource Conservation and Recovery Act,” said Thomas McElligott, a partner at Quarles & Brady LLP.